ALPINA – if you have heard of them – produce around 1,500 cars per year. To put that into perspective, Rolls-Royce – who you have heard of – produce 4,500. Bentley and Aston Martin double that figure again. Accordingly, an ALPINA owner could justifiably claim that their £50,000 D3 BITURBO was three times as rare as their neighbour’s Rolls-Royce Ghost that cost five times as much. Rarity however, does not equal prestige, and prestige sells. Prestige sells by serving as an aspirational goal, while prestige simultaneously facilitates this goal in today’s PCP and lease dominated market by ensuring strong residuals counteract steeper list prices. Resultantly, ‘Mondeo Man’ of 1996 is likely to be ‘3 Series Man’ or ‘Evoque Woman’ of 2017. The volume increases experienced by these premium brands, both through consumer demand and manufacturers pushing ever more units onto their retail partners, has resulted in two out of the top four best-selling marques in the UK being ‘premium’, without significantly debasing their prestige – the achievability of aspiration does not make it any less of an aspiration. Simplistically speaking, you could accordingly assume that the key to success is offering a vehicle that can differentiate itself as ‘premium’ at a monthly price point less than proportional to its gain in prestige. Premium manufacturers have two main ways of narrowing this monthly price point. The first of which is simple discount; as volumes increase, unit prices drop and a traditionally strong currency position has allowed UK importers to offer generous retailer subsidies while simultaneously enjoying higher production margins, especially higher up a model’s engine and trim range. The second is through in-house banks; these can offer low or zero APRs, but more importantly, can set a residual value higher than a third-party financier would deem safe, thus shaping the overall cost of ownership so that the depreciation financed on a £40,000 car may be similar in absolute and much lower in percentage terms than the depreciation on a £30,000 car. Both of these measures are dependent on volume. Volume is necessary to drive down unit costs and facilitate discounts, especially as the development required for compliance with ever tougher environmental and safety legislation, combined with spiralling consumer demands for in-car technology, is lengthier and costlier than ever before. Volume is also necessary for the pool of risk to be sufficiently spread and the numbers sufficiently high to attract wholesale finance rates suitable for remarketing by in-house banks and allow them to offer the strongest possible residual values. For a premium manufacturer however, the precondition of volume and the entailed benefits, is prestige. If volume comes before prestige you are another Vauxhall, but if prestige is present before volume arrives, you can be Mercedes-Benz, who sit in touching distance of Vauxhall in the UK registration rankings. These differing aspirations can be well illustrated by looking at these two manufactures’ efforts at Festival of Speed. Vauxhall had their ‘family experience’ in a lower key, less heavily branded area where the emphasis was on accessible transport fitting in with your existing life – you could see models visitors could plausibly buy – whereas Mercedes had a more imposing stand showcasing their halo models – of which only a handful will be sold – and heavily referencing their F1 team; a brand for those with lifestyle aspirations, rather than those seeking transport solutions for their existing life. 1. Control escalation of the prevailing transaction price in such a way as to maintain profitability for ALPINA as a manufacturer and ALPINA GB as a national Importer and Retailer. 2. Improve the positioning of the ALPINA marque to a point where the perceived prestige of the brand is proportional to the prevailing transaction price. 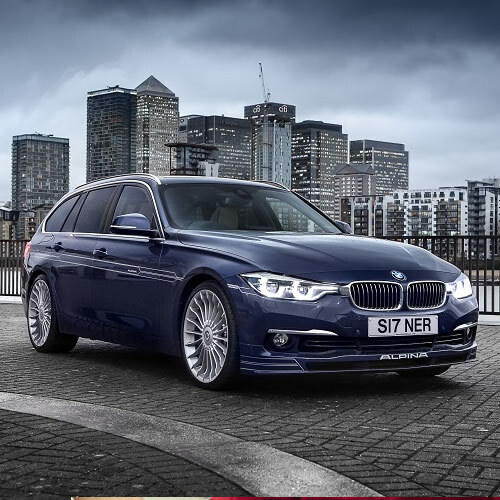 The ALPINA offering is essentially a thoroughly re-engineered BMW, with the emphasis on comfortable long-distance touring and accessible performance in a discreet package. This is very much in contrast to the loud, brash and uncomfortably firm offerings from the likes of BMW M and Mercedes-AMG. List prices range from £48,000 to £115,000 and there are ALPINA variants of the 3 and 5 Series in saloon and estate bodies, 4 and 6 Series in coupe and convertible bodies, and the 7 Series as a long-wheelbase saloon. Six-cylinder 440hp petrol and 350hp diesel engines are offered in the 3 and 4 Series derivatives, the 5 Series derivates feature the six-cylinder diesel and a 608hp V8 petrol, while the 6 and 7 Series-based ALPINAs get the V8. Typical engine enhancements feature optimised induction and exhaust systems, lightweight low-friction internals such as pistons, crankcases and specially cast blocks, plus significantly enhanced cooling capabilities necessitated by the lack of speed limiters. Strengthened gearboxes and differentials complete the driveline enhancements, while progressive, gas-filled Bilstein dampers and ALPINA-specific springs provide an exceptionally compliant ride, even on the large 20” wheels. Non-runflat tyres, uprated brakes, optimised steering rack calibration and ALPINA-specific geometry complete the mechanical changes. The inside is structurally the same as the BMW on which it’s based, although blue ALPINA instruments, an individually numbered production plaque, ALPINA etching on the dash trim and roundels in the seatbacks provide subtle reminders, while the leather on the steering wheel is of the same grade used by Rolls-Royce. There is further the option to have the interior completely retrimmed in this leather, in a style and colour of the customer’s choice. Externally, ALPINAs have the same bodywork as the associated BMW apart from front and rear aero kits (fully functional and wind tunnel developed), quad exhausts and 20 spoke ALPINA wheels. An optional stripe or ‘dekoset’ provides further visual distinction, but from a distance it is undeniably a BMW body wearing BMW bonnet and boot badges. It is worth noting at this point ALPINA are neither a tuner nor a subsidiary of BMW, but an independent, family owned business established in 1965 and a recognised as a manufacturer by German authorities since 1983. Resultantly, they have their own chassis numbers and appear on V5s as ALPINAs rather than BMWs. BMW warranty the cars and they can be serviced at any BMW dealership. First and foremost an engineering firm, ALPINA initially produced Weber twin-carb kits for the BMW 1500, impressing the Munich manufacturer sufficiently for them to partner with on subsequent projects such as the development of the E9 CSL, South African market 333i and more recently the X5 iS variants and Dakar Mini. ALPINA were also the first to market with a number of now commonplace innovations such as the heated metal catalyst and steering wheel mounted gearshift for automatic ‘boxes. Their early turbocharging endeavours produced cars far more reliable than fuel efficient than contemporary 911 Turbos and led to practical, comfortable four door saloons in the form of B7 Turbo and B10 Bi-Turbo that could easily outpace Ferraris of the day. 1968 to 1977 saw a very successful racing programme with big names such as Niki Lauda, Derek Bell and Brian Muir driving for ALPINA. Endurance racing brought particular success, with ALPINA’s emphasis on reliability and fuel efficiency often winning the day. ALPINA have past acclaim, a racing heritage and history of innovation equal far greater than they are commonly credited with in the UK. Returning to the two challenges mentioned earlier, efforts to improve the transaction price at which ALPINAs can be offered have come from both the factory and ALPINA GB. The most significant improvements have taken place in the production phases. Previously, complete cars would be shipped to ALPINA by BMW for conversion, resulting in both a duplication of labour costs and numerous wasted parts. Now, ALPINA carry out all required development work and testing up to 18 months before the base BMW vehicle enters production and most of the required changes can be integrated on the BMW production line – for example the different engine components, subframes and instruments – leaving only the aero components, exhaust and limited slip differentials to be added by ALPINA in Buchloe, along with any bespoke interior work required from the Saddlery. These improvements in production have facilitated the gap in list prices between an ALPINA product and the BMW on which it is based to drop to around 20 percent, when in the ‘80s it was frequently 50 percent or more. As an Importer, ALPINA GB have focussed on optimising standard equipment levels to better reflect what is typically ordered, and on introducing option packs that can be assigned their own CAP code (CAP being an official residual setting body). While this has increased the list price of some models, it means the base price of a car – which has a residual value – occupies a proportionally larger part of an overall transaction price and the optional equipment cost – which has zero residual value – a proportionally smaller part. Resultantly, as more of an ALPINA’s cost now has a residual value of say 50 percent, rather than zero percent, the monthly payments to fund its depreciation decrease, thus narrowing the extent to which it sits above the price elasticity line. A further evolution of this approach has been to bundle options into packages, which for residual purposes can then treated as a separate trim level, facilitating a reduction in the proportion of options spend which needs to be repaid. The second challenge of improving the ALPINA brand’s positioning to a point where its perceived prestige is proportional to the prevailing transaction price has been a softer, more time-consuming process. Differentiation has been the key in these brand management efforts. Outwardly, this could seem difficult; ALPINAs look very similar to the BMWs on which they’re based, are sold from the same showrooms, and until recently, there wasn’t a great deal of understanding in the retail network as to what they were. This resulted in a tendency for them to be perceived as ‘a remap, wheels and body kit’, and away from the Nottingham hub, frequently sold as not much more. The bulk of ALPINA customers were accordingly those trading up from within the BMW range, particularly what are now 35d and 40i models. Without sufficient production volumes to make hefty discounts feasible or in-house banks to subsidise APRs and residual values, the net result was a product that was significantly more expensive but without particularly elevated prestige when compared to its perceived competitors. Accordingly, sales suffered in a price elastic segment. Compounding these problems of consumer perception, reception in the motoring press was also muted. A lack of brand understanding lead journalists to assume ALPINA were trying to go harder and faster than M, when in fact their offering was purposely comfortable, accessible performance for everyday use. Judged against a different set of benchmarks, they rarely fared well and fed the ‘wheels and body kit’ perception. The improvement engineered into the product was not translating into brand value. ALPINA GB set about tackling both ends of this problem. The whole press process became very carefully managed with UK-specific press releases issued with key messaging focusing as much on the intended outcome as the detail changes involved. Journalists were briefed face-to-face if not previously familiar with ALPINA, and whenever possible the factory hosted journalists for immersion in the improvements engineered by ALPINA, along with the overarching philosophy guiding development. Long term test cars were embedded with publications to better experience the ‘accessible performance’ angle than short back-to-back road tests against more dramatic competitors would allow.  Reviews improved from an average of three stars to four and five starts being the norm, while significantly more editorial column inches were generated through the press having more to say. This is a particularly important metric for an organisation with zero advertising budget and there is a directly traceable relationship between favourable editorial content appearing and enquiry rates spiking. Highlights included the ALPINA D3 beating the BMW M3 in an Autocar test that now has more 1.1 million views and several dozen directly attributable sales. The ultimate evolution of this drive has been the placement of an ALPINA on Amazon’s Grand Tour, with filming set to take place in August. Mindful of the success of this, ALPINA GB also engaged with select Youtube influencers to serve as independent advocates enjoying greater freedom in the format of video produced compared to the large publishers. For example, an hour-long interview with ALPINA’s Sales and Marketing Director would usually be considered far too long, but by engaging a Youtuber the interview becomes both independent rather than advertorial, and allowed the full one-hour runtime to be published. These efforts to improve product differentiation have allowed the comparison points for ALPINA to be moved away from the price elastic BMW 35d and 40i products and towards the like of Porsche’s Panamera and Maserati’s Quattroporte which compete in a less price elastic sector. This repositioning of the brand has facilitated considerable growth among the higher end models, driven options spend and significantly increased uptake of bespoke interiors, often costing well into five figures. Operating in this sector also means the BMW bodywork has a gone from being a point limiting differentiation, to an enticing point of differentiation for those wishing to appear more discreet than a Porsche, Maserati or Bentley would allow. In short, the brand’s repositioning has allowed a greater proportion of ALPINAs to be sold on features – where they excel – rather than on image or price, where they are weaker. That is not to say the transition into this less price elastic sector was total, but there was marked segmentation of the ALPINA market, with the upper less price elastic segment currently doing good business, while trading conditions remain difficult, albeit less so, in the lower more price elastic segment. Optimised operation in both these sectors necessitated a thorough improvement of the ALPINA GB dealer network. As price becomes a less significant factor in the decision-making process, greater weight is attached to explanation of features, option scope and the more bespoke offerings. Moreover, customers at this level can be less tolerant of sales execs having to confirm details and come back to them, while ALPINA customers in particular seem to take a very keen interest in the technical aspects of the cars, possibly as a result of the messaging focus on communicating the improvements over the standard base product. Training of a nominated ALPINA Specialist was at the core of this dealer network development effort, given each of the sixteen retailers a knowledgeable advocate for ALPINA’s offerings, while an amended cost sharing model gave their sales managers greater incentive to view ALPINA as a separate, complementary product stream rather than a direct threat to their M targets – different cars for different customers. This core project was supported by the roll-out of the ALPINA GB intranet containing quick-reference information for the ALPINA Specialists, alongside more in-depth technical information, parts brochures and workshop manuals. It also hosts the Divisional Sales League to introduce an element of recognition beyond the regular commissions. This is very much an ongoing process however, and one that requires considerable effort just to stand still. Although Sytner have industry best staff retention figures, the motor industry does have very high staff turnover, from which ALPINA GB has not been immune. Moreover, seven-day operation means the ALPINA Specialist cannot be his business the whole time, leading to issues in lack of knowledge redundancy and resultantly inconsistent service levels. Addressing this will be the next stage of the ALPINA GB network development programme, and see a focus on establishing Regional Centres with an enhanced ALPINA presence and greater knowledge redundancy among staff. Combined with an influx of new for models for 2018, this will hopefully stand ALPINA GB in the most positive position it’s enjoyed for some time. What can be concluded from recent ALPINA GB experiences? Perhaps the most obvious is the importance of positioning a product in a segment of the market where it can play to its strengths. Perhaps less obvious is that none of the measures mentioned above have cost ALPINA GB anything beyond travel expenses – all training was designed and delivered by existing staff, as was the intranet, and the ALPINA Specialists duel role as regular sales execs at their respective dealerships. The realigned cost and profit sharing model has made good reduced unit profits through volume gains, and the increased, more favourable press covered achieved entirely through editorial column inches rather than paid advertising. Similarly, equipment and residual optimisation had no real barriers to implementation, and no associated cost penalty. So when next faced with a struggling product, ask would it be cheaper and easier to optimise its positioning than make slow and expensive changes to the product itself? Since 1985 ALPINA GB has been the sole concessionaire of ALPINA motor vehicles, parts and accessories in the United Kingdom, acting as both Importer and Retailer through their Nottingham hub. ALPINAs are today offered nationwide through the 17 retailers of Sytner’s BMW Division, each boasting an embedded Specialist. Founded in 1968, Sytner Group is now the UK’s largest dealer network by revenue, and has been part of the Penske Automotive Group since 2002. Jonathan Noy grew up and was educated on the south coast before moving to Nottingham to join ALPINA GB in 2015. Now Assistant Manager (Brand & Network), his focus is on facilitating the conditions for the ALPINA marque to flourish across the UK through Brand Management, Dealer Network Development and Product Planning & Localisation. Away from ALPINA, he enjoys seafood, history and exploring Europe by car.